The 1988 release of Dreamtime Return was a groundbreaking sound document. From Roach's perspective it reflected his Dreamtime travels; from the company's perspective, and music history, it was a pioneering effort. Dreamtime Return documents the first endeavor by a nonAustralian company to pay tribute to the art and culture of the Australian Aboriginal people. Ten years later, Dreamtime Return has firmly proved to be a classic recording, according to the countless testimonies of fans, radio programmers and reviewers worldwide. In honor of the global acceptance of Steve's personal statement and the 10th anniversary of this new classic, Celestial Harmonies reissues this recording (CD onlysame music, redesigned packaging) in appreciation to the ageless audience that has, and continues to, recognize the transcendental value of this music. A music which touches our very core, powerfully blending the ancient, tribal and otherworldly elements with the contemporary. Roach has spent a great deal of time deep in Australia's outback exploring and absorbing the beauty of numerous sacred and secular sites where Aborigines had painted their stories of The Dreamtime (their story of creation) for thousands of years. It was these explorations through the Aborigine myth of The Dreamtime, their highly complex story of creation, that inspired this recording. Inspired by Roach's explorations, this recording took on a new significance when he teamed up with photographer David Stahl, who invited him to collaborate on a film project about the Aboriginal art of The Dreamtime. Dreamtime Return captures the intense, creative passion that is at the heart of The Dreamtime, blending Roach's distinct musical stylesmeditative/contemplative and high energyfor an unforgettable 127 minutes of powerful musical images of the mystical dawn of life. 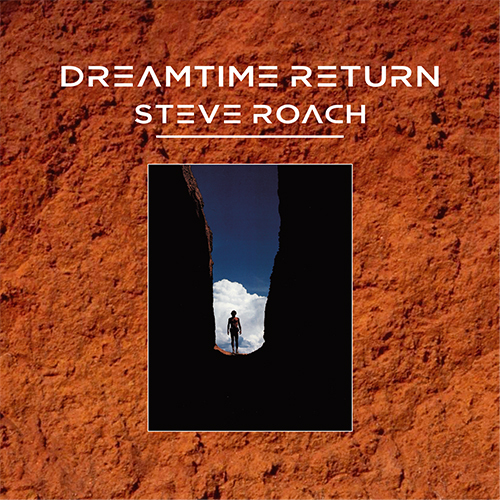 Steve Roach is a name synonymous with ontheedge innovation in tribal-ambient, atmospheric space music and other genredefying sonic activities. Over the last 20 years, his evocative sound worlds on numerous solo and collaborative releases have earned him the respect of critics and listeners worldwide. Today, Steve is considered one of the most visionary and masterful synthesists/composers of our time. With an impressive body of recordings to his credit, Dreamtime Return is a work of exceptional artistic maturity. It is without question Roachs most extensive, masterful, and profound work to date. Dreamtime Return also debuts the masterful art of didjeridu virtuoso David Hudson, whom Roach befriended while recording Australia's indigenous sounds. 1 Towards the Dream 7'08"
4 Airtribe Meets the Dream Ghost 7'00"
5 A Circular Ceremony 11'48"
6 The Other Side 13'14"
8 Truth in Passing 8'41"
9 Australian Dawn: The Quiet Earth Cries Inside * 6'18"
1 Looking for Safety 31'21"
2 Through a Strong Eye 6'50"
3 The Ancient Day 6'06"
4 Red Twilight With the Ancient Ones 9'48"